Welcome to the ASOdesk feature — Keyword auto-Suggestions. This feature is built onto our core compilation algorithm. Never before has a tool like this been available. Keyword research will now take less than 20 minutes. First, add the keywords from your own common sense, detailing which ones best suit your app. 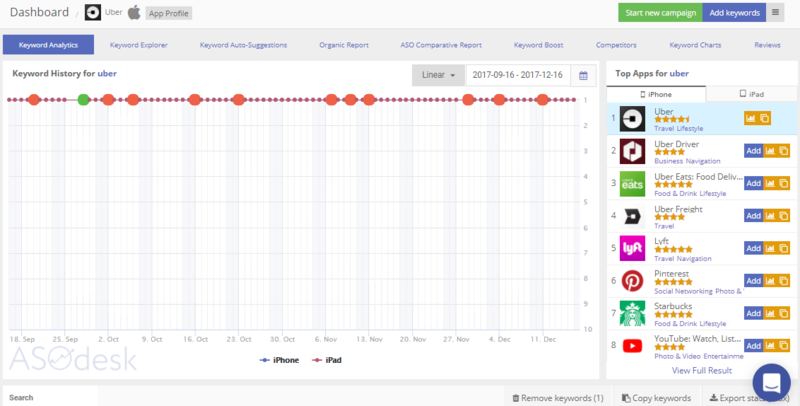 If this poses an issue, ASOdesk can help you add 20 keywords for your app. Second, add competitors in the Competitors Module. Add as many as you can. This will help us find more keywords from your competitors. You can now press the Save all button or add them word by word to collect your Keywords core. Voila! What next? Open the Keyword Analytics Module, sort by Traffic Score and choose which keywords you wish to use!